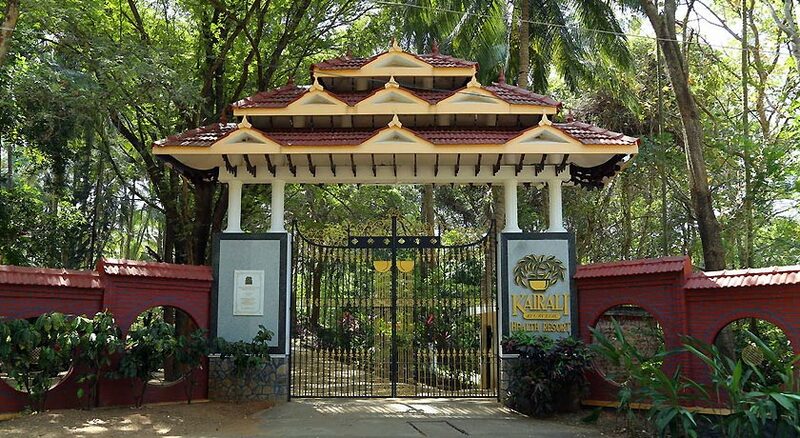 Located about 75 km from the Coimbatore International Airport, Kairali Ayurvedic Health Resort is a well known resort that offers a natural and relaxing setting to the guests. The Health Resort is not just pleasing to the senses but brings forth a new and healthier way of life. 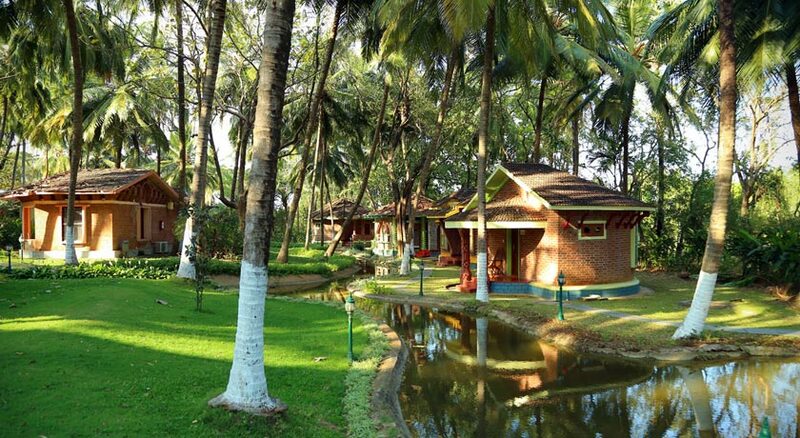 The resort is 25 km from the Palakkad Railway Station and has various places of attraction in its vicinity. 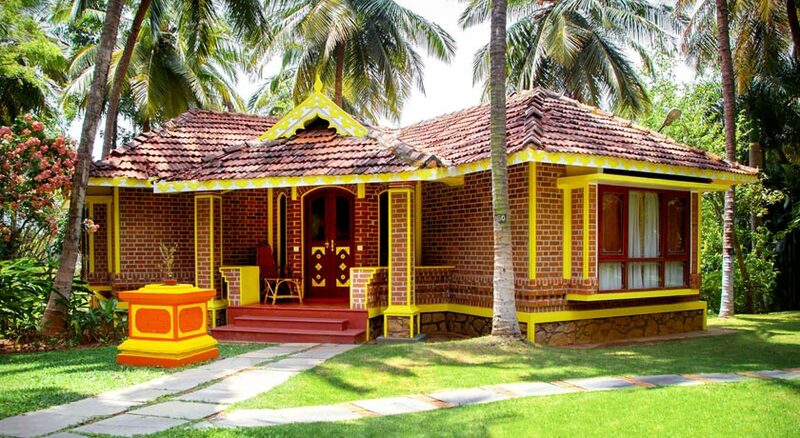 Some of these tourist spots include Thiruvalathoor, Tipu’s Fort, Thenari (natural spring), Jain Temple of Jainimedu, Kalpathy Shiva Temple, Parambikulam Wildlife Sanctuary, Silent Valley National Park, Attapady Hills and Malampuzha Dam and Gardens. 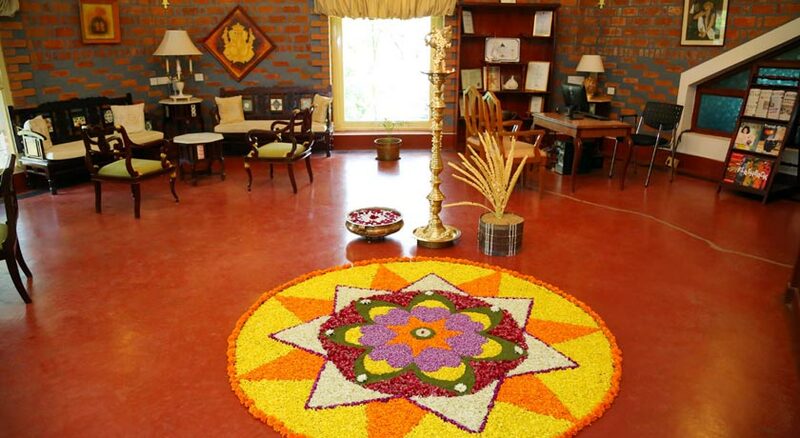 The Kairali Ayurvedic Health Resort offers numerous state-of-the-art amenities and services such as a well appointed conference hall, business center, banqueting facilities, resident doctors and dieticians, travel desk, laundry services, airport shuttle, railway station pick up and drop facility and 24 hour front desk reception. 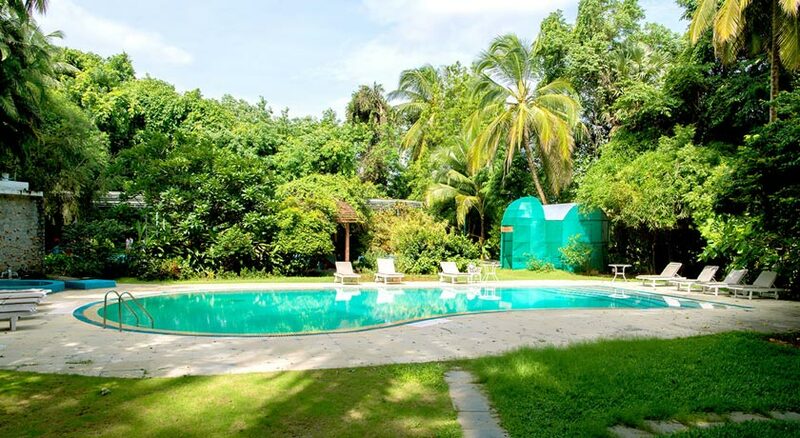 The recreational facilities comprise of several Ayurvedic treatments, yoga and meditation, beauty therapy, sightseeing, library, swimming pool, card room and charm science experts like palm reader, astrologist and numerologist. Guests can also work out in the high - tech gym or engage in activities like badminton, tennis, jogging, billiards and other indoor games. 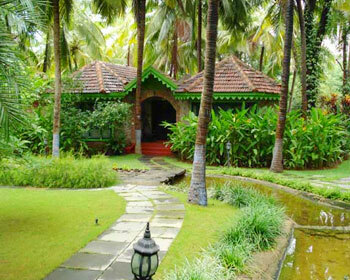 Kairali has its own herbal garden where rare herbs of great medicinal significance are grown. The resort also features an outdoor amphitheater that makes for a beautiful venue for cultural events and martial arts performances. The Deluxe Villas have a serene and calm atmosphere, bringing you closer to the natural surroundings. 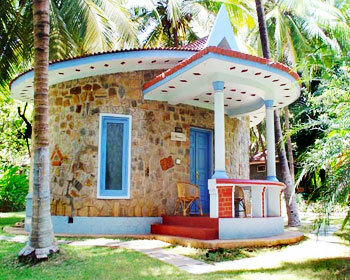 There are eight rooms that are well appointed with modern amenities like air conditioning, telephone, satellite television, internet accessibility (surcharge), electric kettle, mini fridge, en suite baths with shower, hair dryer and bath accessories, complimentary meals and complimentary yoga and meditation sessions every morning. Daily housekeeping and round the clock room service are provided. The décor of the villa is based on the Vastu Shastra and small streams flow by the villa giving it a soothing and picturesque view. 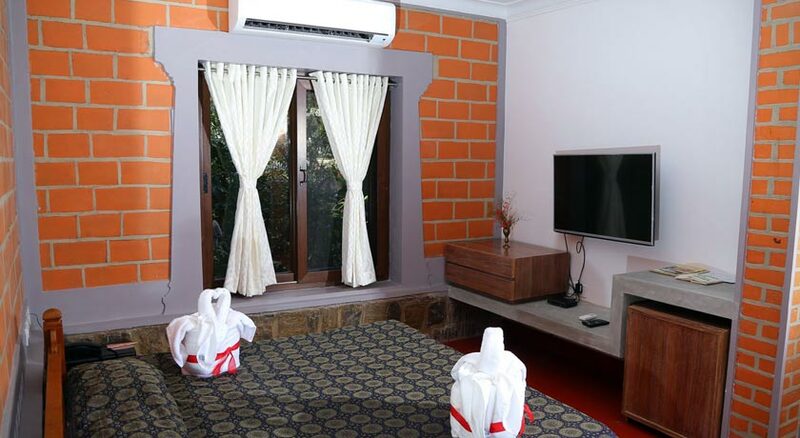 The rooms also have spacious living room and balconies to enjoy the natural splendor. 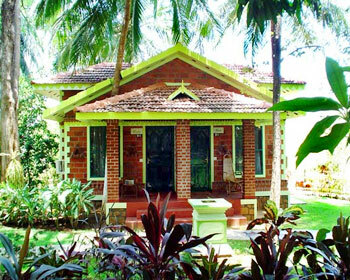 The Classic Villa is larger than the Deluxe Villa and accommodates fourteen rooms. The beautiful gardens and the soothing sound of the water flowing by provide a relaxing and positive energy. 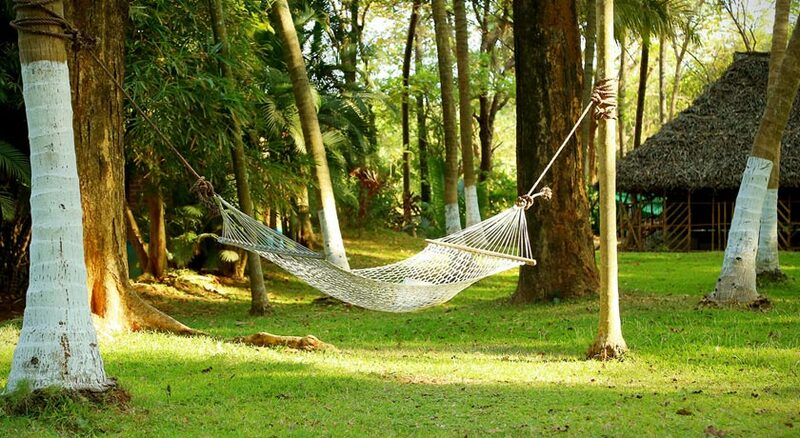 The seating space provides you a nice pace to lay back and please your senses to the beauty of nature. 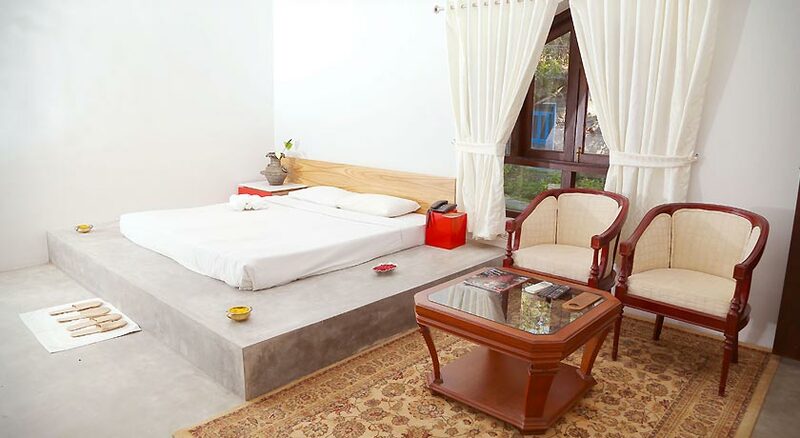 The rooms include facilities such as air conditioning, cable TV, telephone, complimentary meals, mini refrigerator, tea and coffee maker, daily housekeeping, internet connection (surcharge), complimentary yoga and meditation sessions every morning and 24 hour room service. The private baths are spacious and well appointed with hair dryer, shower and bath accessories. The Royal Villa has lavish interiors and an elegant décor with state-of-the-art amenities such as air conditioning, telephone, satellite TV, electric tea and coffee maker, mini fridge, complimentary meals, internet connectivity (surcharge) and complimentary yoga and meditation sessions every morning. 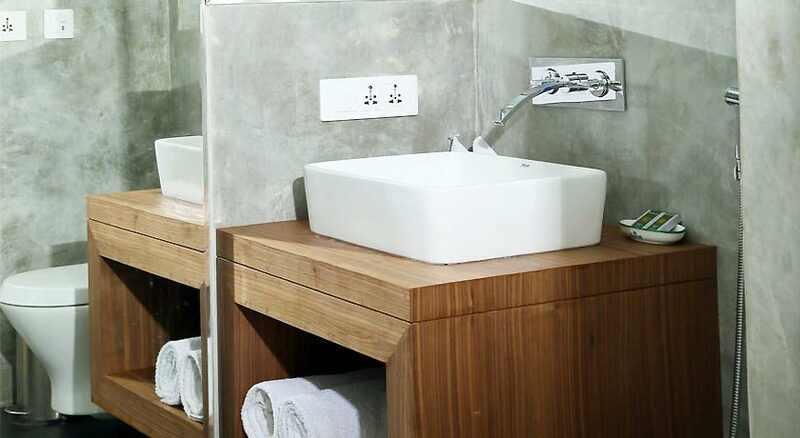 The en suite baths have modular fittings and are equipped with shower, hair dryer and bath essentials. Round the clock room service and daily housekeeping is facilitated. 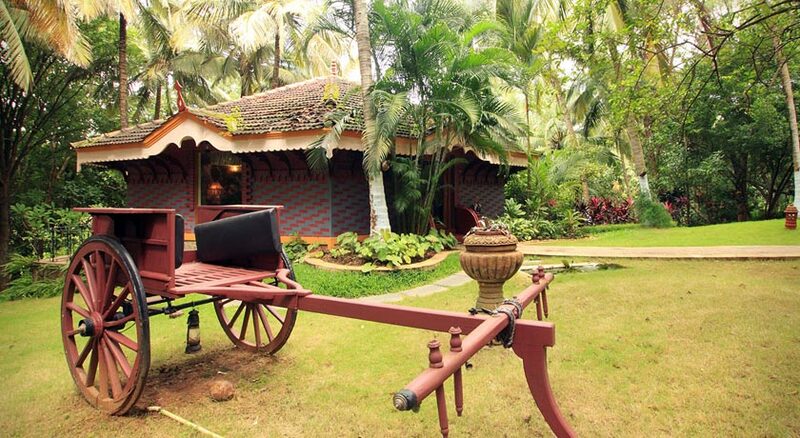 Enjoy a royal stay in the lap of nature. As the name suggests, these suites are grand and regal in their décor and comforts. 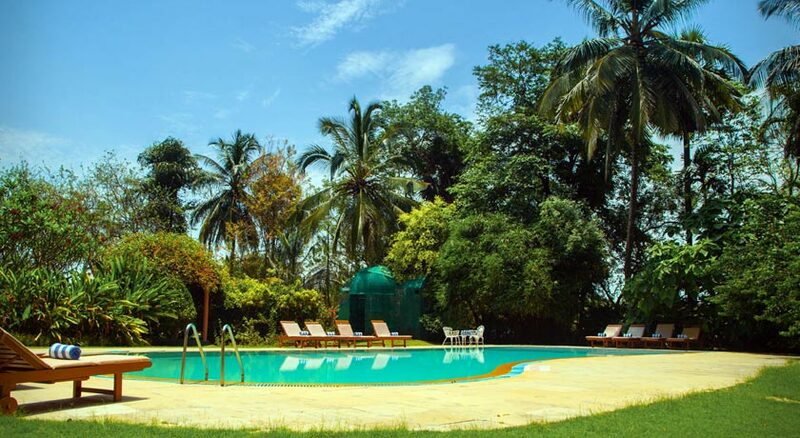 The two suites have private lawns set next to the swimming pool or the flowing river which offers a magnificent view. The amenities offered in the suites include king sized beds, satellite TV, telephone, air conditioning, refrigerator, electric kettle, 24 hour room service and internet connectivity (surcharge). Complimentary facilities include daily housekeeping, meals and yoga plus meditation sessions every morning. The suites have private baths that are spacious and fitted with modern facilities like shower, bath accessories and hair dryer. 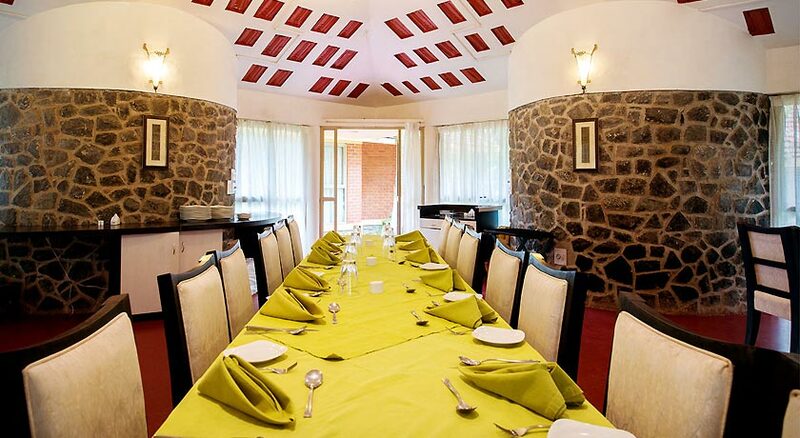 White Lily is a multi cuisine restaurant that serves healthy and scrumptious vegetarian food. Relish the spicy North Indian meals or the lip smacking South Indian delights. The restaurant also serves delicious Continental fare. Do try the regional favorites during your stay here. The food can be tailored by the chefs according to the dietary requirements of the guests as prescribed by the dieticians and doctors. This multi cuisine restaurant serves appetizing meals and food choices ranging from Indian and Continental to the local Kerala specialties. The food is individually prepared with natural ingredients and aromatic spices. Guests can also get their food modified as per their dietary requirements. 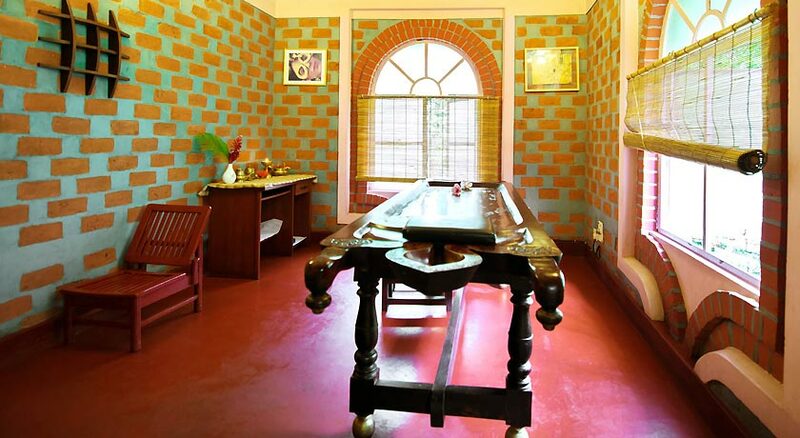 At the Kairali's The Ayurvedic Healing Village, you can be assured of receiving the best of Ayurvedic treatments and medicinal massages that rejuvenate and revitalize your cells and tissues internally. 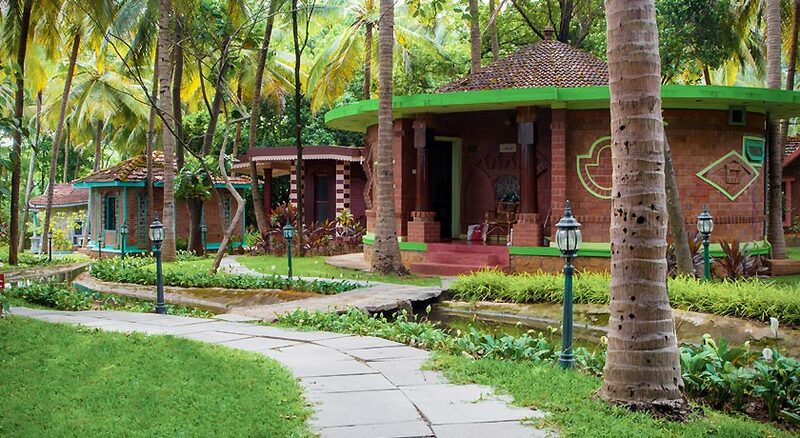 The resort boasts its own certified Ayurveda hospital in Kerala. A team of highly motivated and committed doctors and therapists ensure that the treatments and medicinal preparations are of the highest quality. Further, guests are also offered a lot of options in terms of special health and beauty care packages. These are designed to treat all kinds of modern day ailments like stress, respiratory problems, eye ailments and skin diseases. 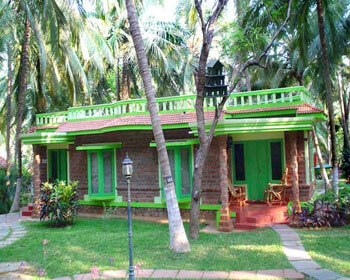 Kairali – The Ayurvedic Healing Village, offers a range of Ayurveda and Yoga & Pilgrimage packages to its guests. 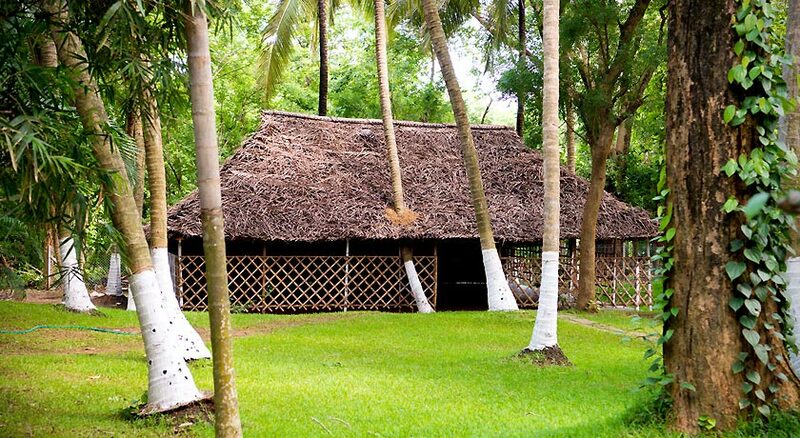 The ancient science of Ayurveda is practiced in its authentic form at this resort, with special emphasis being placed on old traditional values that merge easily with the contemporary lifestyle of today. The various kinds of treatments provided here cater to a variety of ailments. A special variety of health and beauty care packages are also available. 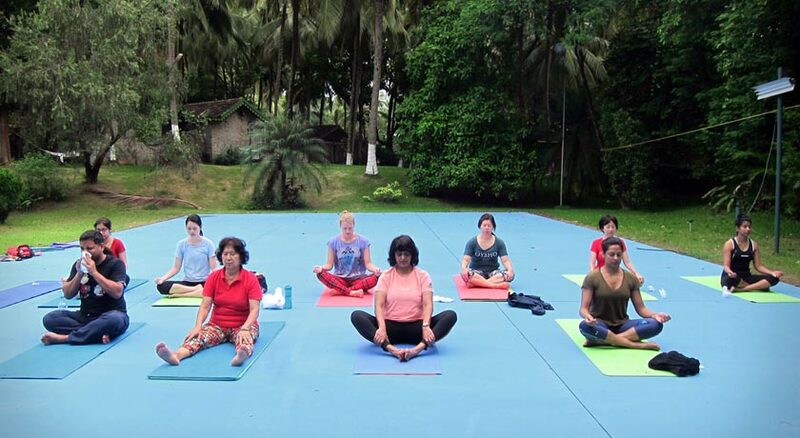 The Yoga teacher training available at the resort is a complete immersive course that focusses on learning the Vedic philosophy and practice of Yoga. The teachings are centered on the five points of Yoga – postures, breathing, relaxation, meditation, and diet. The various workshops here enable the guests to gain a thorough understanding of yoga through a combination of theory and practical classes. This allows the students to understand the various aspects of Yoga, its teachings and culture. Further, the students are elaborately taught traditional yoga science which helps them to understand the importance of yoga in daily life. The course not only brings about a transformation in one's life but also provides one the confidence to start teaching yoga in their own way. Upon the completion of this course, the participant is provided a certificate which makes them a certified International Yoga Teacher. Designed for rejuvenating mind, body and soul by detoxification, the treatments comprise 2 Ayurvedic Therapies with steam bath. 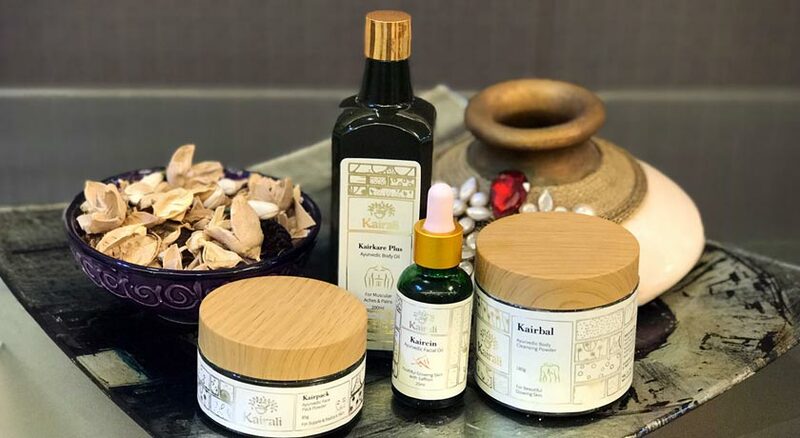 Using herbal oil massages, herbal steam therapy, special herbs and diet and therapeutic cleansing techniques like Vasti, Virechana, Pizhichil, Shirodhara and Abhyanga, the therapy soothes one's system. Stress and strain is the bane of today's times. Ayurveda believs that imbalances in the body cause helath issues. To keep them at bay, remove stress with holistic program using therapies like Sirodhara, Dhanyamaladhara, Elakizhi, Pizhichil and Abhyanga. While the treatment works at the physical level to soothe the aching muscles and stressed nerves, there are also therapies for mental bliss. Also, stress management program with yoga and meditation helps de-stress. Kairali's Ayurvedic treatment for hypertension aims at identifying the root cause of the ailment and then administering herbal medications and various massage treatment like Sirodhara, Thakaradhara and Abhyangam to eradicate the problem from its roots. The sedentary lifestyle cause weight gain in most individuals. For weight loss, the package has Ayurveda massages, steam bath, Ayurveda therapies, restructured vegetarian diet, and oral medication. After proper analysis, the well-planned program knocks off the excess weight in a healthy, methodical way. The program aims for curing chronic back pain with holistic and integrated Ayurvedic therapies. There are procedures like Abhyanga, Vasti, Elakizhi and Kativasti along with massages and steam bath used to provide relief from backache. In addition, Yoga asanas focus on strengthening the back. 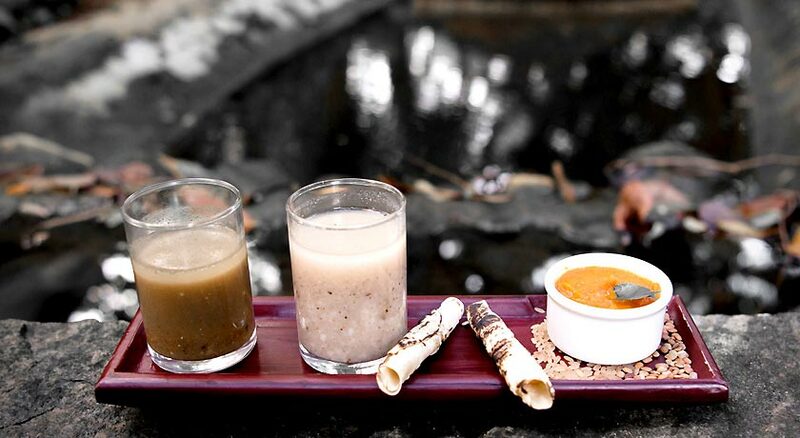 Panchakarma is a 5-step cleansing of body toxins. 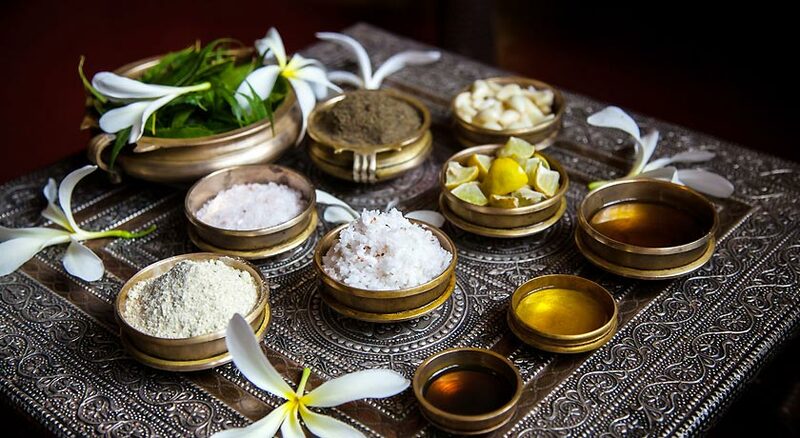 The Ayurveda treatment using a five-step purification process that includes therapeutic vomiting, purgation, enema, nasal cleansing and detoxification of the blood. In this treatment, daily two Ayurveda massages, steam bath along with customized diet is provided for individuals.